To the mix add the zest of an orange and the ground cardamom. Stir through and get ready to cook the pancakes. Place a large frying pan over a low heat and grease lightly with butter. Using a ladle, pour a spoonful of the batter into the pan and cook for 1-2 minutes until bubbles appear on the surface. 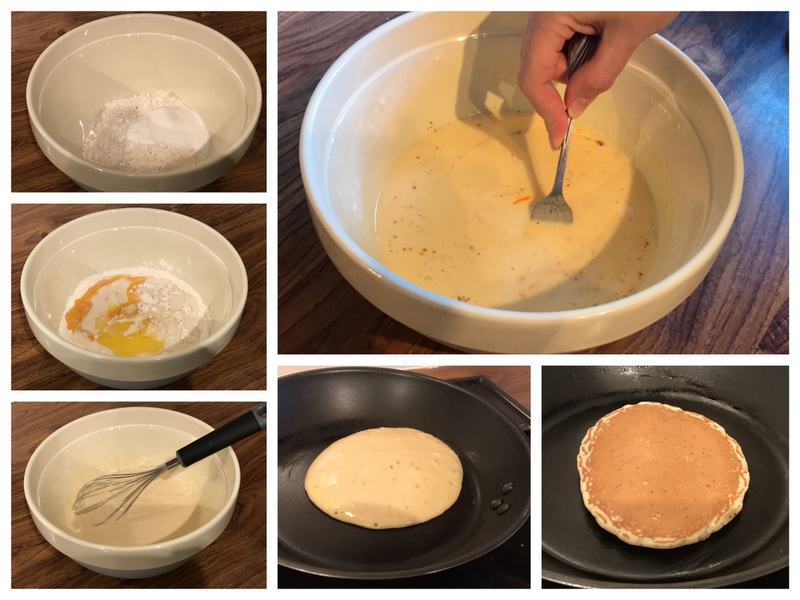 Flip the pancake over and continue to cook for a further minute until golden. Repeat this process with the rest of the batter. 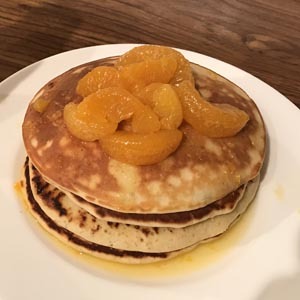 While your pancakes are cooking, move on to making the glaze. Add the juice of a large orange to a saucepan on a low-medium heat. Add a squeeze of honey and the mandarin segments (drained) to the juice and gently stir. Simmer for a couple of minutes and get ready to serve. Don’t let the mixture boil as this will break up the mandarin segments. 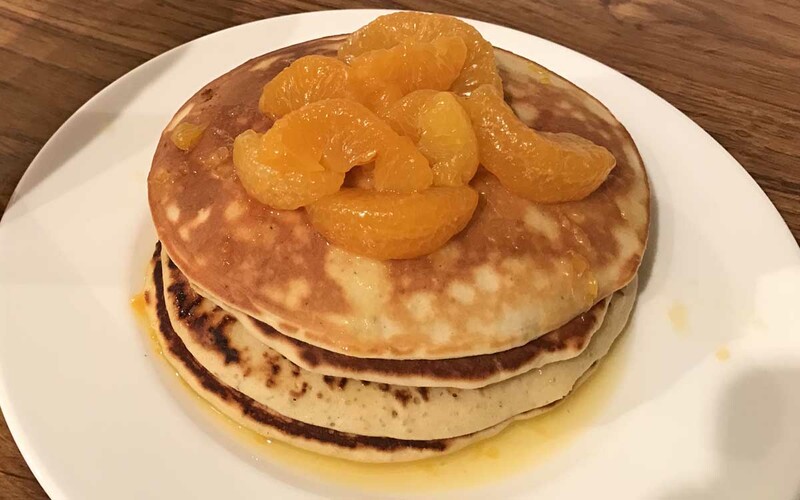 Stack the pancakes and pour a little of the honey mandarin glaze over them. Serve with a dollop of fresh cream or natural yoghurt. Check out the steps in the video below.